Imagine losing your job and ending up living on the street, where every day is a struggle to survive. That is what happened to Tony Rodriguez, a man who suddenly found himself homeless and living on the streets of San Diego. One day a documentary filmmaker by the name of Dennis Stein came along and interviewed Tony, and Tony agreed to allow the cameras to document his life. 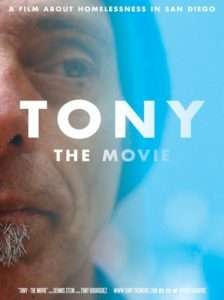 “Tony – the Movie” was born. The film is a powerful and raw look into homelessness, detailing the struggles, inequities, and hopeful solutions. 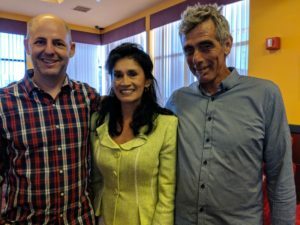 I learned of the film when I attended an event hosted by the San Diego Psych/Law Society entitled, “Homeless and Helpless: A Need for Change.” I was honored to meet both Tony and Dennis, and to watch parts of the film. Tony spoke, and I was deeply moved by his courage, with one statement particularly standing out to me. Tony said when you are homeless, you receive a constant message that you are worthless, and that beats you down. That broke my heart as no one should ever have to feel that way. Today, I am honored to share this moving film with you, with the hope that we can end homelessness. Thank you to Tony, Dennis, and all the other advocates who are working tirelessly to find the path forward! Please visit the website: https://tony-themovie.com/ for more resources and information. Learn about the Regional Task Force on the Homeless and the Regional Plan.